The Kingdom of God is the central teaching of Jesus. Everything revolves around this. It was his first sermon: “Repent, for the kingdom of Heaven is at hand.” It was the central theme of the parables: “The kingdom of heaven is like . . .” It was a driving feature behind Jesus’ miracles: bringing the future perfection into the present day. But what do we do about it? 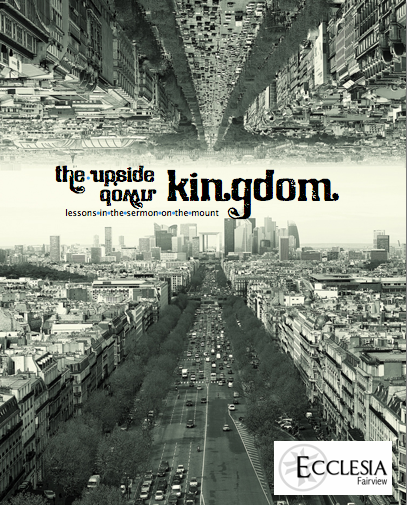 How do we live as kingdom people in this world? One of, if not THE Greatest, passages of scripture has to be Jesus’ Sermon on the Mount. It is universally recognized as a masterpiece of religious literature, even among non-Christians. It is a description of what life in the kingdom of God looks like. How do we live in relationship to God? How do we live in relationship to others? How do we live in relationship to ourselves? How do we live in relationship to material possessions? These are the questions we will be exploring as we look at this great sermon section by section. In 2011, Steven preached a series of detailed messages at Ecclesia on each of the 8 Beatitudes. You can access that series, which will give even more insight on this current series, by clicking here. In 2012, Steven preached a series 10 messages at Ecclesia on the Lord's Prayer. You can access that series, which will give even more insight on this current series, by clicking here.